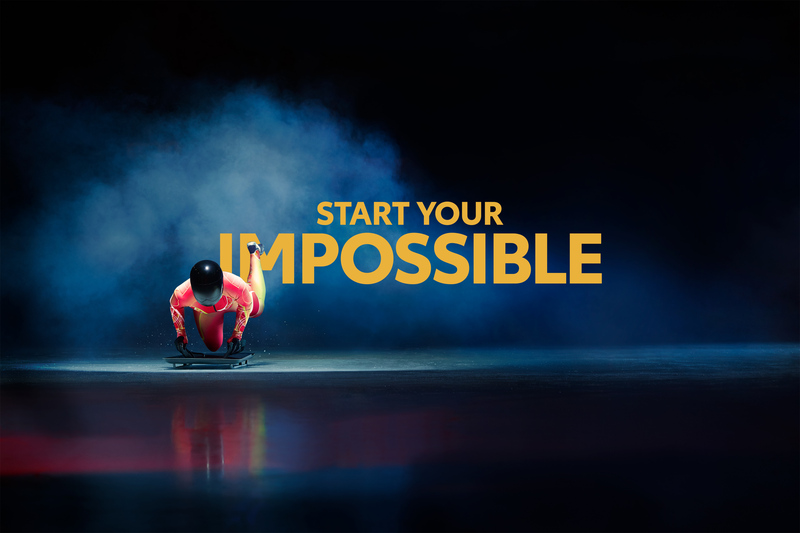 TOYOTA CITY, JAPAN, Feb. 9, 2018 – Created in honor of Toyota’s shift to a mobility company and its eight-year worldwide partnership with The International Olympic and Paralympic Committees, “Start Your Impossible,” Toyota’s first-ever global marketing campaign, will roll out in 27 countries at the start of and through the Olympic and Paralympic Winter Games PyeongChang 2018. “Lanes of Life”: an optimistic celebration of life’s journey for six Olympic snowboarders: Carle Brenneman (Canada), Eva Samková (Czech Republic), Lindsey Jacobellis, (USA), Belle Brockhoff (Australia), Chloé Trespeuch (France), and Isabel Clark Ribeiro (Brazil). Toyota will also run previously released spots including the :60-second “Good Odds” highlighting the real-life story of Canadian Para alpine skier Lauren Woolstencroft, who overcame tremendous odds to become a legendary Paralympic gold medalist and the :60-second “Mobility Anthem” featuring mobility stories of individuals, ages 1 to 100, celebrating Toyota’s efforts to make movement better for everyone.